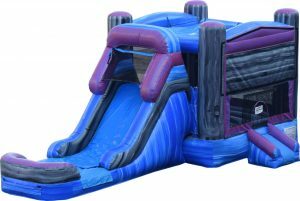 Thank you for visiting the JumpingBunnyRentals.com website! 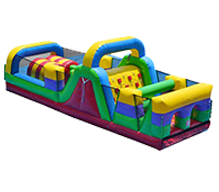 Here you’ll find a great selection of inflatable party rental attractions for your next party or event. 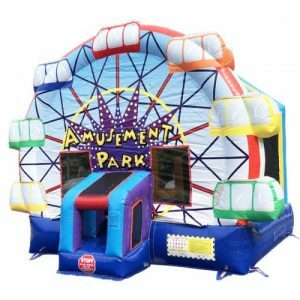 We offer a large variety of jumpers, bouncers, combos, inflatable water slides, obstacle courses, interactive inflatables, concessions and more! We always strive to serve you better! We follow the industry leads and are continually looking to add new and innovative inflatable units to our rentals. All of our inflatables are fairly new or brand new. They are always cleaned and sanitized after each rental. You can rest assured that your inflatable will be in great shape and would be the attraction of your party! Also, we have provided an easy and convenient method for online reservations. Our booking system is easy, straight-forward, secure and available 24/7. 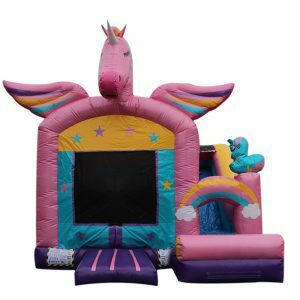 Jumping Bunny provides party rental delivery service to the greater Richmond Virginia area and its surrounding communities, like Short Pump, Glen Allen, Mechanicsville, Chesterfield, Henrico, Ashland and many others. We are dedicated to providing our customers with the best quality service along with the safest, cleanest, and newest products that will make any event an unforgettable one. Please allow us the opportunity to handle party rental needs and we will make sure we will exceed your expectations! Take your event to the next level! . 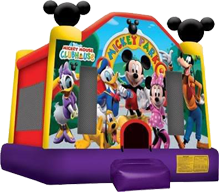 Jumping Bunny party rentals provides inflatable rentals service to all occasions, such as: Company Picnics, School Festivals, Church Functions, Family Reunions, Birthday Parties, Graduation Parties, Sporting Events, Daycare center events, Fundraisers and more!. We pride ourselves in providing excellent customer service. Our staff is always friendly and helpful and they will do their best to meet all your expectation in regards to the planning and organization of your party. Our office hours are 9 am to 7 pm, with after-hours phone line available. Also, our reservation system is available to you 24 hours a day, 7 days a week, 365 days a year. 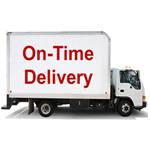 We can assure you that you will receive your rental equipment on time. Our routes are planned carefully and our drivers are aware it is very important you receive the party rentals on time. We strive to always deliver the equipment at least 30 min before the start of the party. We usually keep a back up driver, in case a situation needs one. We take safety very seriously! We are a proud member of SIOTO (Safe Inflatable Operators Training Organization). Their seal indicates that we understanding of how to operate inflatables safely, as well as help you supervise your event in a safe manner. Through continued education we keep ourselves abreast of industry standards, manufacturer guidelines, and state and local regulations. We are fully-licensed and registered with the State of Virginia. We are also insured for your protection, and we can provide a certificate of liability upon request. When you choose Jumping Bunny you are promoting legitimacy and responsibility in your community! We stick to law requirements to ensure the safety of our customers and as well as our equipment. Here you’ll find a great selection of party time rentals. We specialize in moonwalk and bounce house rentals. Also do table and chair rentals, and concession machine rentals. 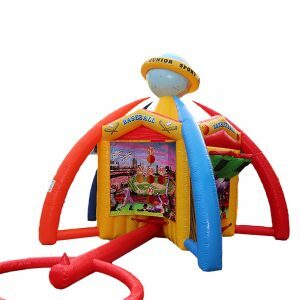 Our inflatable games, water inflatables, bounce house combo and inflatable obstacle course can be great addition to your party. 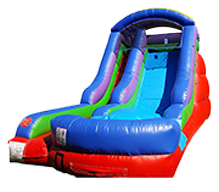 Whether having a birthday party and need birthday bounce house, or need backyard inflatable water slide for your pool party, we have it all. Jumping Bunny Rentals follow the industry leads and is continually looking to add new inflatables to our rentals. All of our party jumpers are fairly new or brand new. We always clean and sanitize our bounce house and inflatable water slides after or before each party rental. You can rest assured that your inflatable will be in great shape and would be the attraction of your party! We set up our party equipment in a safe manner and take time to discuss the safety rules with you. Also, we have provided an easy and convenient method for online reservations. Our booking system is easy, straight-forward, secure and available 24/7. Jumping Bunny do deliveries to Richmond, Virginia and its surrounding communities, like Short Pump, Glen Allen, Mechanicsville, Chesterfield, Henrico, Ashland and many others. 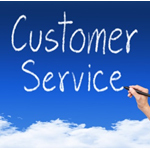 We are dedicated to providing our customers with the best quality service. 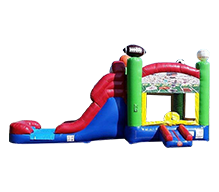 Our safe, clean and new bounce houses will make any event an unforgettable one. Please allow us the opportunity to handle your party rental needs and we will make sure we will exceed your expectations! Take your event to the next level!